Camping provides an inexpensive and adventurous way to experience the wilds of Badlands National Park. There are two official campgrounds located in park, as well as unlimited backcountry sites. No reservations are required, as all sites are distributed on a first come first served basis. When camping, make sure you adhere to all park regulations. Campsites are FIRST COME, FIRST SERVED. The Badlands National Park has two campgrounds. No reservations are taken or required except for group camping. Both Badlands National Park campgrounds are open year round with limited access during the winter months. Contact the park at 605-433-5361 with any questions. 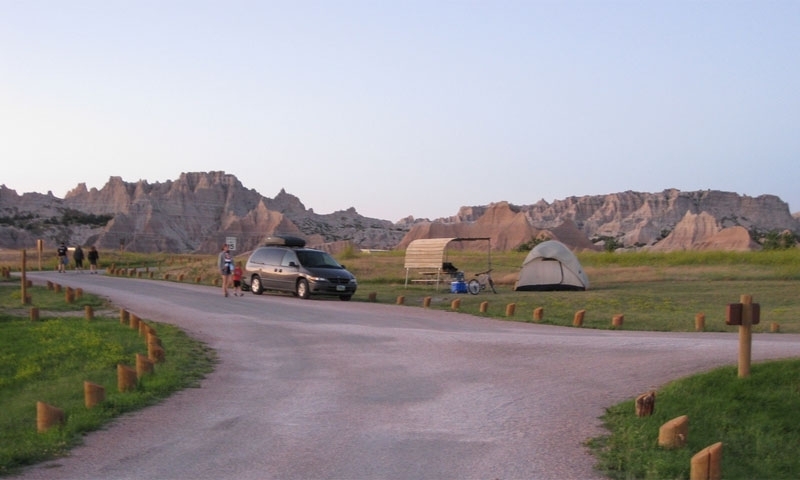 For an overnight experience in Badlands National Park you can take advantage of one of the two campgrounds in the Park - Cedar Pass Campground and/or Sage Creek Campground. 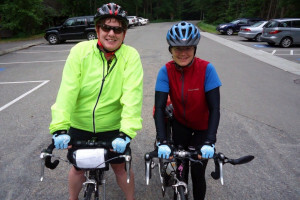 Each campground is on a first come, first served basis. No reservations are accepted other than for group camping. While there is limited camping opportunities within Badlands National Park, camping is also available in close proximity to the Park in the surrounding areas and communities. 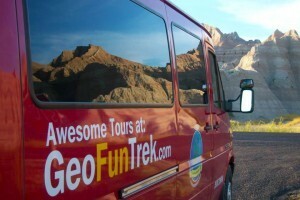 The Cedar Pass Campground has 96 level sites each with a view of the scenic Badlands area. This campground can be found near Cedar Pass Lodge for those who want a hot meal or who need camping supplies, groceries, or souvenirs. Cold running water, flush toilets, and covered picnic tables are all available. A dump station is available for a $1.00 fee per use. There are no showers at this campground. The campground is open year round with a limited section of the area open during the winter months. Campground fees are $22 per night ($37 with electrical hook-ups). This is a primitive, undeveloped campground where you can expect bison to casually walk through the area. This campground is located on the west side of the park's North Unit, near the Badlands Wilderness Area. A portion of the Sage Creek Campground is designated for use by horses. Access is located off of the Sage Creek Rim Road, an unpaved road that may temporarily close after winter storms and spring rains. Be aware that the road provides limited turnarounds for large recreational vehicles. Pit toilets and covered picnic tables are available, but no water is available on-site. The Sage Creek Campground is open year round, but is sometimes inaccessible due to inclement weather. There is no fee charged. This is a first come, first served campground.